First up, we’ve got Kontaani Drum Fest. 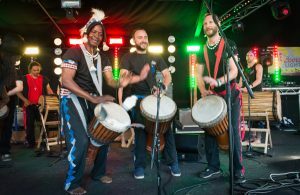 This is a super-friendly, community-run African drumming festival that runs from 26th until 28th May. 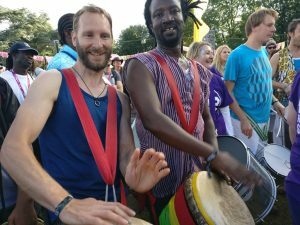 Tanante, our African drumming performance group, has been working on some exciting new arrangements and collaborating with vocalists on new melodies that Andy, our balafon player, learned on his recent trip to the Gambia. This will be our first chance to show off our new material and we’re raring to go! 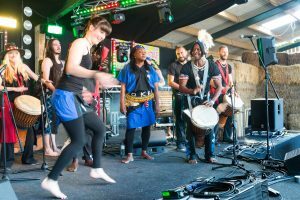 As well as Tanante’s performance on Saturday night, Drumroots will be running djembe and dun-dun workshops throughout the weekend. Next, it’s a gig at our favourite club night, Drum Music. They’ve organised a one-off special at the Golden Lion in Todmorden on 30th June. 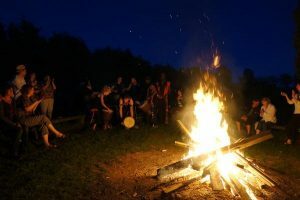 More details of the event location will be published nearer the time, but rest assured, it’s going to be pretty special…The following weekend, we’ll be venturing down south to join master djembe player, Iya Sako at Drum Camp festival, where we will be providing dun-dun support for his drumming workshops. 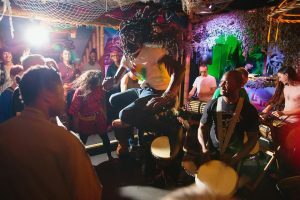 Iya is truly, one of the best djembe players in the world. We can’t wait to watch the master at work and soak up some of his wisdom! 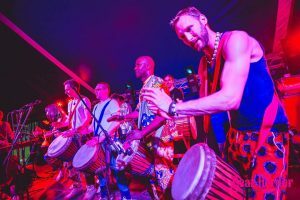 Next up, it’s probably the most important date in any world music fan’s calendar: it’s the WOMAD festival. We’ll joining in with the other drummers for the children’s parade on the final day. We’re keeping our fingers crossed for clear, blue skies and sunshine! And last, but not least, we’ll be heading to the Moovin festival, for their annual, August bank holiday party. Phew! Then we might just put our feet up and have a brew! If you’re going to be at any of these events, give us a shout on our Drumroots twitter or facebook pages. We’d love to hear from you!